But why the movement when there are so many brands of dog and cat food on the market? The most popular explanation I have found concerns what is going into processed pet food. Some brands of processed pet food are very low in "garbage" (excess additives, preservatives and colors). Other foods are full of sugars, colors, unnecessary additives and potentially dangerous preservatives. All processed foods need preserving but not all preservatives are great. This article is not about reading pet food labels; it is about the benefits and the risks of a raw meat diet. One of the benefits with a raw meat diet is you know exactly what is going into the animal. However, a drawback is you also can end up with a malnourished pet! Good nutrition is far more than feeding your animal enough to keep it from getting too thin. Cats for example are far more carnivorous than dogs. The type of raw diet you would use for a cat would not give a dog what it needs. According to Give Your Dog a Bone by Dr. Ian Billinghurst, a raw diet for a dog consists of 60% raw, meaty bones. The other 40% is a variety of foods to balance: green vegetables, eggs, milk and organ meats (liver, heart, kidneys, etc). Feeding a raw diet is far more than hitting your local grocery store and tossing hamburger or chicken your pet’s way! Proper nutrition involves knowing what your pet needs to be healthiest in regards to protein, fat, carbohydrates, fiber, various vitamins and minerals, etc. Deficiencies in any of these can lead to serious problems down the road. For example, if a cat lacks taurine, he can end up with vision problems. Some breeds of dog are prone to bladder stones and some stones may have a protein-related basis. Too much protein can be bad for these dogs. If you wish to properly feed a raw diet, you need to take the time to understand the intricacies of animal nutrition based on species. A good, high quality kibble takes care of the mystery of how much a dog or cat needs of what element. If you can dedicate yourself to study and properly creating a balanced raw diet, this is a major concern out of the way. In March of 2001, an article in JAVMA (Journal of the American Veterinary Medical Association) compared raw diets to commercially prepared diets. All the raw diets were not nutritionally complete. Though the study was small, it gives pause for thought. Can you ensure your dog or cat is getting a balanced diet? What about bones? We get bombarded with reasons why not to give bones to pets. Yet many raw diets encourage the use of raw bones. Bones are very controversial. Baking and smoking bones changes their texture. However, even raw bones can break and snap. Raw bones can cause damage to the esophagus, stomach and intestine. But bones help scrape build-up off teeth and raw may not be as brittle as bones dried out in a baking/smoking process. It is argued that wild animals have been chewing bones without problem for thousands of years. However, there has been no research done into the death rate of wild canines or felines from bone complications. A wild canine or feline with a bone impaction would die quickly and never be seen by humans. This is why we do not see wild canines or felines with bone impactions: they do not survive. Bones have VERY little nutritional value for animals. The bulk of the nutrition comes from what is on the bone. 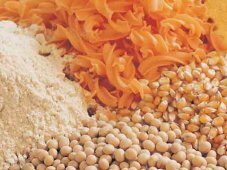 However, GROUND bone meal can be a good source of calcium and other elements. Please realize that raw bones do have risks like anything your pet can chew. Now, let’s consider the bacteria in raw meat. Canine and feline digestive tracts are not the same as ours. Supposedly, a healthy dog or cat should be better able to handle the bacteria in meat better than humans can. However, there has been concern raised regarding bacteria. First, humans: we must practice safe meat handling and cleaning up after our pets eat. The bacteria in raw meat can be fatal to a human who is young, elderly or has a weakened immune system. Some cats and dogs on raw diets have persistent diarrhea – not normal. Chronic diarrhea can lead to dehydration and other problems. Also, it can be a sign that the animal is not handling the bacteria well. The bacteria can be fatal in a pet with a weakened immune system or who is already sick. Dr. Lisa Newman, a doctor of Naturopathy with a PhD in holistic nutrition has seen an increase of irritable bowel syndrome, digestive problems and immuno-related weaknesses in animals fed a raw diet on a daily basis. Are raw diets a fad or are they here to stay? I think they are here to stay. Honestly this scares me. Please understand, I am not fully opposed to the diets. I feel for some animals they can be beneficial. What worries me is the lack of education and knowledge the general person feeding a raw diet has. Good quality processed foods contain everything a dog or cat needs to be healthy and little in the way of additives or unnecessary preservatives. 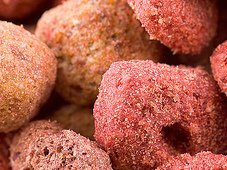 Are raw diets safer than a high quality processed kibble? Maybe they are or maybe not. Should the average person try to make their raw diets? No. It takes time, dedication, lots of research and fully understanding the pros and cons.